Every day, young children in Illinois are injured or killed because of the actions of other people or corporations. 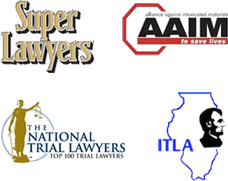 As skilled Chicago injury lawyers we have handled many cases that involve injuries to children. Over 2,000 children are killed in accidents or die from an unintentional injury every day. And every year tens of millions of children are left with life–long disabilities. These accidents involving children can lead to serious injury, disability and even death. There is nothing more sad than to see a child suffer a disabling injury that renders them unable to walk, talk, or see. Children losing limbs is tragic. When a child dies in an accident, the loss to their parents is immeasurable. Personal injury lawsuits involving children often result in tremendous medical costs that can span their entire life from childhood into and through their adult life. Whether the injury is caused by a negligent or careless physician, a defective child product, automobile accident, anyone who injures a child should be held accountable for their actions. The Child Injury attorneys of Nemeroff Law Offices understand that your focus must be on your family after an accident. We want to help protect your family's legal and financial rights while you focus on your family's emotional and physical needs. Together, we can help your family make the greatest possible recovery following a tragedy. Contact our Chicago child injury lawyers if your child has been seriously injured. Contact Nemeroff Law Offices immediately at 312–629–8800 or complete our online contact us form. We look forward to earning you the full compensation you are entitled to under the law that can help mitigate the pain you have experienced.